ISG have been appointed by TH Real Estate to serve as main contractor on delivery of Edinburgh’s latest Hub by Premier Inn hotel, the second such destination to be delivered in the city following a similar scheme at New Waverley. 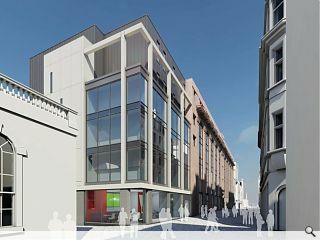 The Rose Street venue will transform the Hanover Buildings with the addition of a two storey steel frame at roof level to increase floor space by 4,900 sq/ft, whilst also giving the existing façade a scrub and installing new curtain wall elements. This will allow 3DReid Architects to slot 145 bedrooms into the space alongside a restaurant and bar area spread across the basement, ground and first floors. 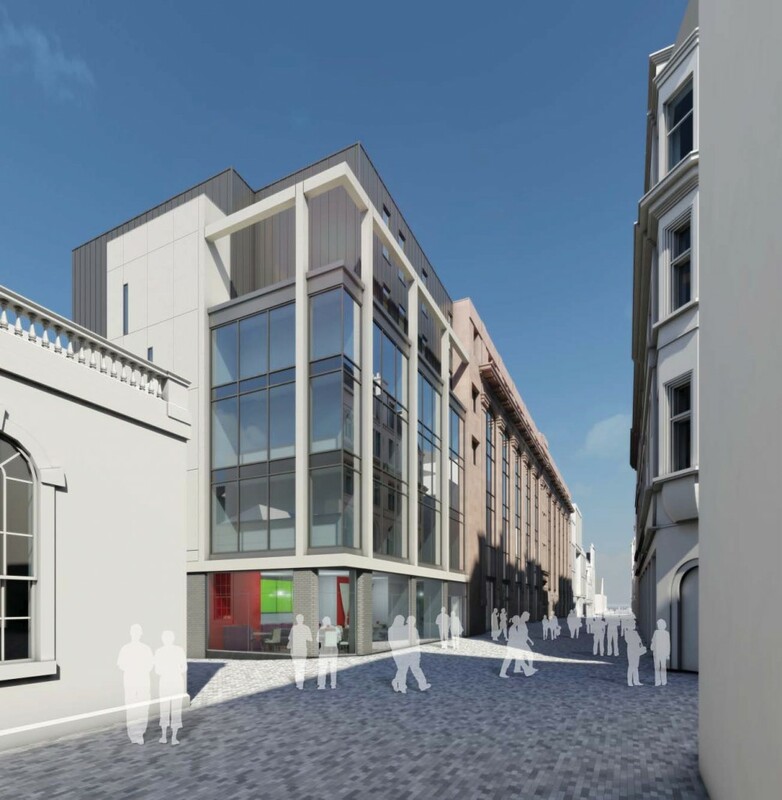 In a sign of growing confidence in Edinburgh’s hospitality sector ISG has also been appointed to deliver a 98 room boutique hotel on Market Street as well as an upgrade of the Trump Turnberry resort. Utter dross.....commercial business park architecture in the city. While I am all in favour of finally developing Rose Street's long neglected potential, this building is very disappointing. A rare chance to do something bold, brave and exciting in this relatively conservation free zone. Better than what was there before, but could have been so much more. With all the stunning architecture thats a feast to the eye in Edinburgh.This seems to be a very post war prefab design, that stands out as a very characterless and non stimulating structure.It really does appear to be a lazy attempt at recreating a modern twist to the surrounding facades. Is this the same designer as that atrocious school in the other article? Good grief, surely in Edinburgh they can come up with something better than this. Just walked passed this completed project. Looks ridiculously cheap spec for its location. Very poor quality. Bad all round.